Are you new to low-carb eating? Attempting a gluten free or paleo lifestyle? Or maybe you’re mindfully working towards a diet that is more varied in healthful nutrients. Whatever your reason, welcome! 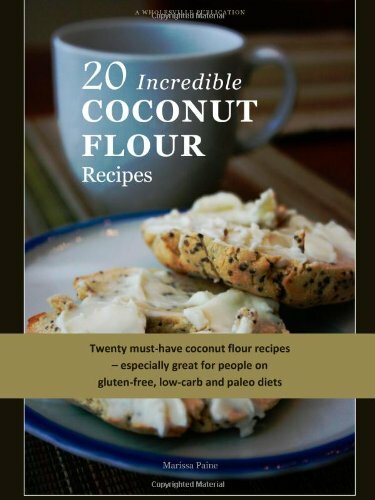 Coconut flour is a great alternative to grain, soy or nut flours. It can be a wonderful addition to your diet, and I can’t wait to share these great recipes with you. Did you know that coconut flour... · Contains the highest percentage of fiber (58%!) of any other flour—beneficial towards weight-loss, digestion and disease prevention · Is 100% gluten free—great for wheat-free and grain-free eaters · Is high in protein, containing about 6% of your daily requirement · Is low on the glycemic index · Does not contain nutrient-inhibiting phytic acid · Tastes great!